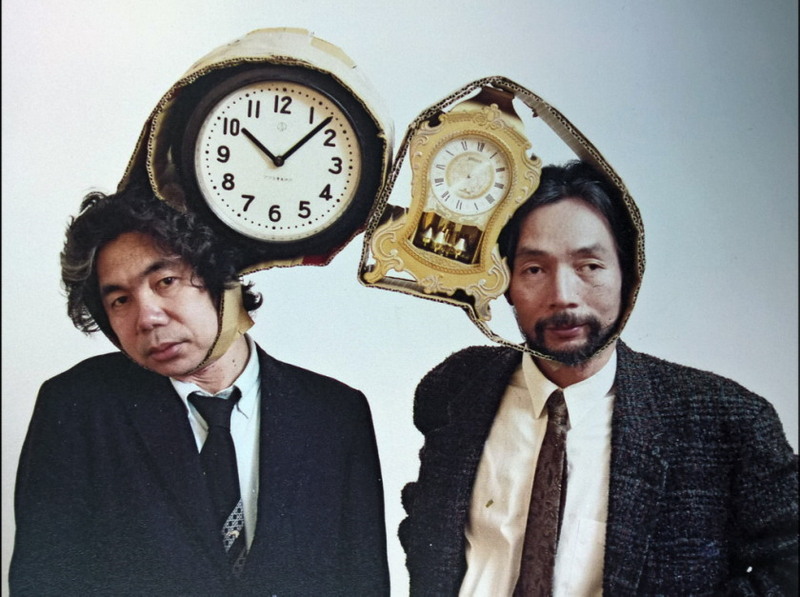 One of Tatsumi Orimoto‘s photo-performances shows him and his friend Shobara with big clocks, wrapped in card-board and attached to their heads. This action represents time as a challenge to art and life and relates to Orimoto’s back-ground in FLUXUS, when he was participating in the Clock Show in Clock Tower in Manhattan in 1974. The affection of Orimoto’s art for life and time has stayed as strong as ever until today. The Plate-Clock-Objects of 1971 combining the running of time and the supply with food became a paradigm of his life, whose main artistic issues are bread and his life as a son, who takes care of his mother. She has been suffering from depression and Alzheimer for more than 20 years. Performances titled “Bread-Man-Son and Alzheimer-Mama” refer to this. 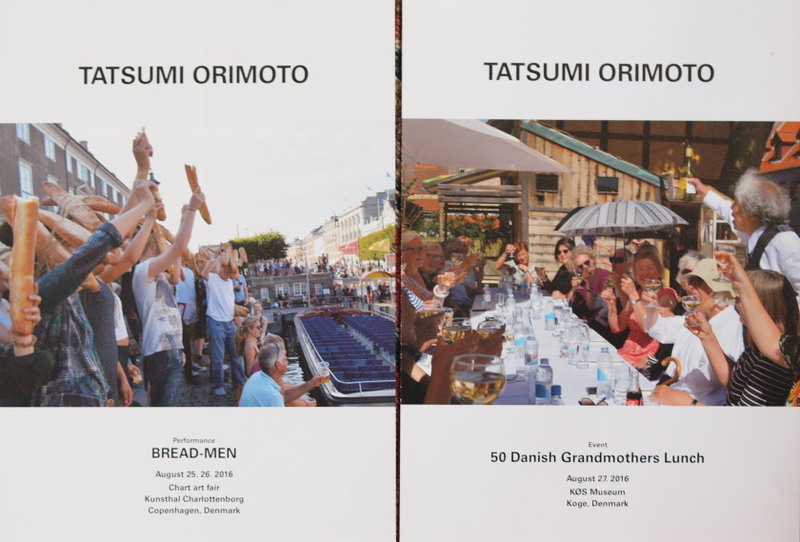 Every year Orimoto issues an edition of posters and folders of his performances of the past year. 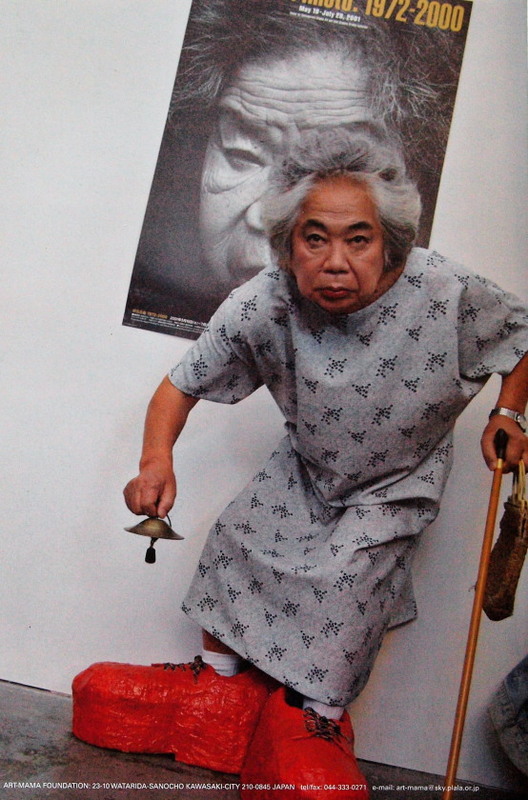 Since his mother has become too old – she is 98 now – to perform with Orimoto-san in museums and galleries, the artist has been looking for ways of compensating for her appearance by photo-performances at home or by transforming himself into Art-Mama. “I Make Up And Become ART-MAMA” was performed November 13, 2016 at Aoyama/Meguro, Tokyo.